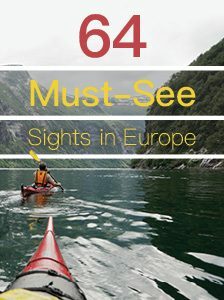 Backpacking is probably one of the most rugged and adventurous ways to see Europe, but it’s not the only way to explore off a European vacation off the beaten path. However, many travelers on a European vacation either stay in one place the whole time or crisscross the continent in a succession of airplanes. If you’re looking for a slightly different European vacation, consider a different mode of travel. Some of the greatest vacations can come from the twists and turns of the journey itself. It’s easy to see why river cruising’s popularity is on the rise. By necessity, river cruise ships are usually much smaller than their ocean liner counterparts. 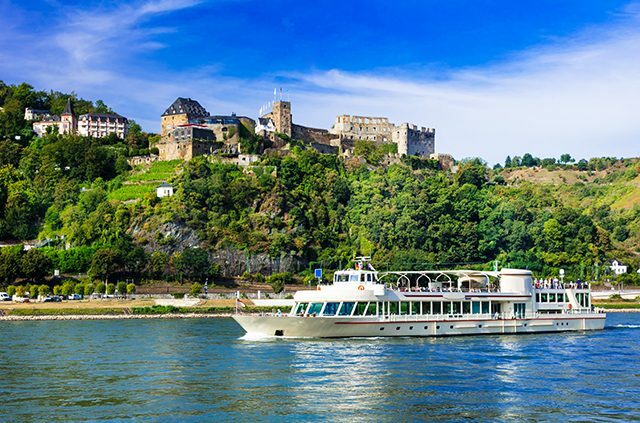 Guests on these smaller ships, which usually carry up to 130 passengers, get to see stunning riverbank sights like centuries-old palaces up close. It’s a magnificent way to tour the beautiful riverside towns, villages and cities of Europe. Onboard recreational and educational experiences highlighting local culture are perfect complements to shore excursions. The river cruise is, in short, the perfect European vacation. Which river to choose? The Danube River, stretching from Germany to Romania, is a good bet for first-timers. The Rhine River, which travels through Switzerland, Germany and the Netherlands, is another popular route. The Loire in France is a good choice for those cruisers who would like to spend their trip trolling the riverside cities and villages for fine wine and cheese. The holidays are a special time for European river cruisers because of the chance to enjoy festive seasonal markets with local crafts and food. It is a fantastic way to get a stiff shot of another culture. The snow is falling, the hot cocoa is ready, and the lights of European cities are glowing in the cold. Amsterdam is a fantastic destination for a river cruiser since it’s a city of canals. It’s also a particularly good holiday destination, as the Netherlands has a variety of unique holiday traditions. Don’t miss their ice skating rinks, Christmas markets, and the fantastic Amsterdam light festival. A train is a fantastic option for those who want to tour Europe without having to sit and wait in an airport after airport for hours and hours. Trains are much more efficient, and the boarding process is usually far less stressful. Fortunately, much of Europe has a healthy network of rail lines that any savvy traveler should make use of. Riding the rails in Europe isn’t just about convenience; it’s also a good option for sightseeing. From an airplane, you can’t see very much. You’re too far away, not at the right angle, and sometimes clouds obscure the view. In your car, you have to concentrate on the road (and try to remember which side you’re supposed to be on). The fantastic thing about trains is that you can just sit back and watch the landscape roll by outside your window. There’s hardly a more romantic way to travel. If you’re looking to see the most throughout your journey, a train might be the way to do it. Norway’s Flam Railway is one of the world’s steepest rail lines, traveling from sea level to 2,800 feet while passengers enjoy waterfalls, mountains and tunnels. 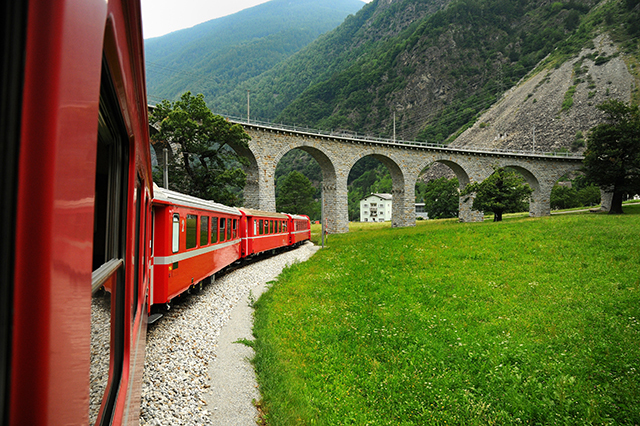 The Glacier Express, which connects Zermatt and St. Moritz, Switzerland, is a longer journey, about 7½ hours, but equally breathtaking thanks to the majestic Alps. 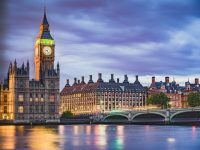 You can even hop on the Eurostar for a speedy trip from London to Paris, if you’d like to go from the London Eye to the top of the Eiffel Tower. Don’t be intimidated by renting a car in a foreign country. Having your own vehicle can provide freedom to explore some of Europe’s most inviting roads. You can also integrate yourself more fully with the landscape of the county you’re visiting. You’ll be driving like a local on the left-hand side of the road in no time! 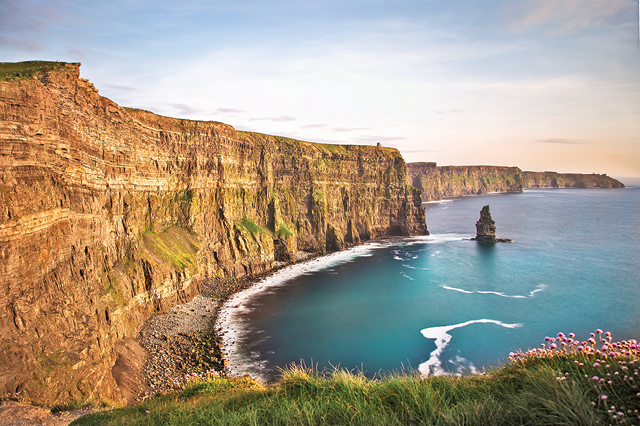 The 110-mile Ring of Kerry has long been a favorite way of seeing Ireland’s Iveragh Peninsula, and you’ll never forget skirting the sea on Italy’s Amalï Coast. Les Corniches in France provides you with amazing views of the countryside on your way to picturesque Monaco. And of course, we can’t forget the Autobahn in Germany. When driving through rural regions on the Autobahn, there are actually no speed limits. Though we here at AAA don’t recommend pushing your luck (or your gas pedal) too far! Remember to get an international driving permit, observe speed in kilometers per hour and drive on the left in Ireland, the U.K., Malta and Cyprus. It’s also a good idea to have a backup book of maps, in case your GPS or phone malfunctions. Have you been on a European vacation that you just can’t forget? Tell us about your adventure in the comments below. 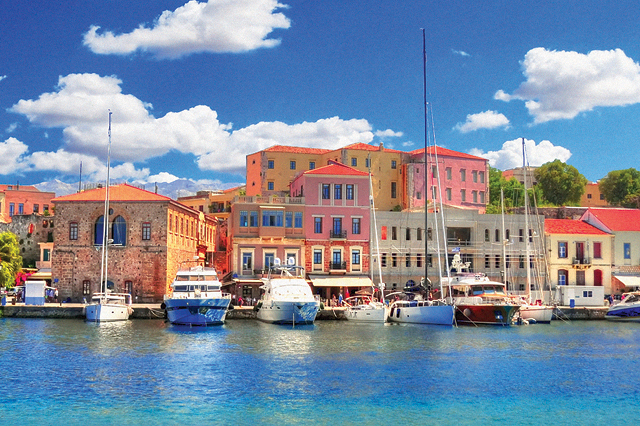 For more adventures, European or not, check out AAA’s travel services. With contributions from Sarah Hopkins. Article tags: a car, AAA, backpacking, car, cruise ships, cruising, educational, european vacation, food, from london, gas, International Driving Permit, landscape, river cruise ships, river cruiser, the river cruise, tour europe, travel, trip, trip from, vacation.